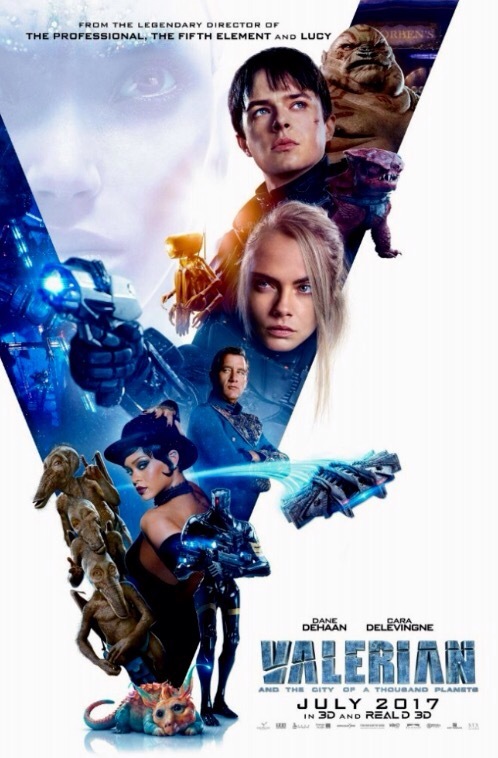 Reviews have begun to drop for Luc Besson’s Valerian and the City of a Thousand Planets, and while it’s early days yet, let’s just say they haven’t been charitable. Now, as I said earlier, it’s early days yet and a few mediocre reviews aren’t likely enough to torpedo Valerian’s chances at the domestic box office (after all, it’s taken five movies before many moviegoers in the United States noticed that the Transformers movies are really, really bad). Though I get the feeling at that we’re not going to see Spider-Man: Homecoming-type box office when the movie goes into wide release. Posted in action, CGI, directors, foreign, FX, Movies, My Two Cents, sci-fi, upcoming.Tagged box office, Luc Besson, Marvel Studios, Spider-Man: Homecoming, Steve Pond, The Hollywood Reporter, The Wrap, Todd McCarthy.